If you’re wondering why I call my project “Comfort Zone Shake-Up” and what it means to shake things up, you’re in the right place. Here’s the story of how I came up with the idea. My friend and colleague Roman and I were stuck in late-Friday-afternoon traffic between New Jersey and New York on the way back from work, and as usual, I was talking about my Comfort Zone project. The Shake-Up was born from our brainstorming that day, inspired in large part from his point of view as an American millennial. When he suggested the word “shake-up,” I sensed what he meant, but I was not completely sure of its exact meaning. 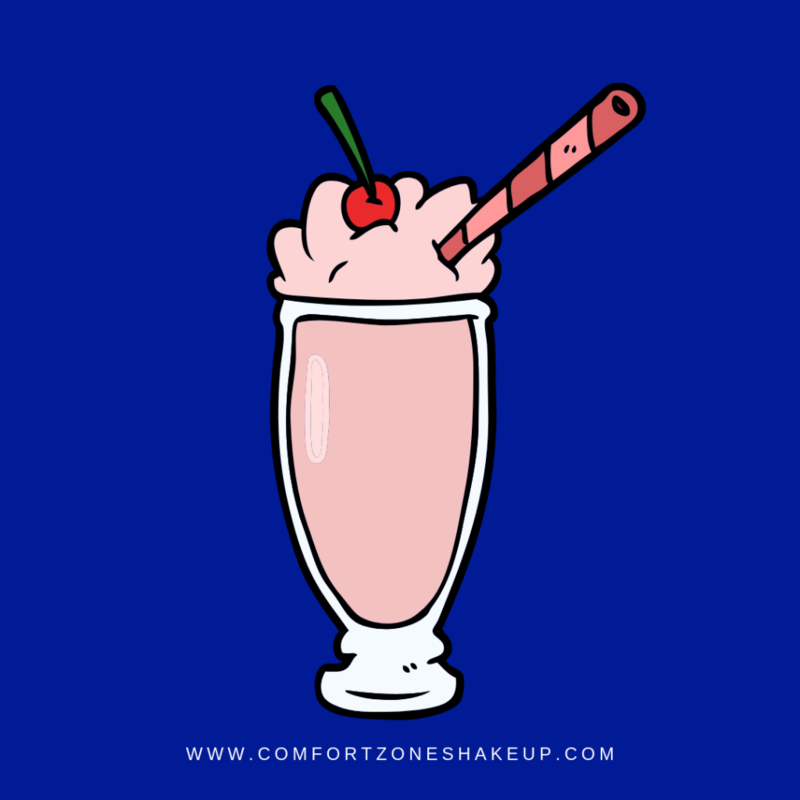 The first image I visualized was of a milkshake—pink, giant, and creamy—probably one of the most obvious symbols of America for non-Americans. Let’s not forget that I grew up watching Grease, Footloose, and Happy Days. Shake-up means “a radical reorganization.” Some synonyms of shake-up in line with what you will find on this site are innovation, transformation, change, reshaping, renovation, and improvement. In this project, a shake-up is obviously not associated with a milkshake—here it means to restructure, reorganize, renew, change, innovate, transform, redesign, improve, and increase. I know it may sound super ambitious, but ideally it is possible to shake up our lives, our professions, our habits, our various comfort zones, and everything we want to associate with our world. And while the Americans who are reading this may shake their heads and wonder if it is right that I have a green card, it was actually my inaccurate translation of shake-up that contributed to my choice of the name “Comfort Zone Shake-Up” for this project. In order to obtain a good milkshake, a series of ingredients must pass through a fundamental phase of “shaking”—and the most important ingredient, in this case, is us. Why Shake-Up Your Comfort Zone? The reason why is that change is inevitable. Change may be external or internal. External change is when the circumstances of our lives or our world alter in ways that are beyond our control. Internal change is that which is directed by us in order to overcome obstacles, meet our goals, become the people we want to be—and, perhaps most importantly—to adapt to those inevitable external changes that are constantly shifting the world around us. 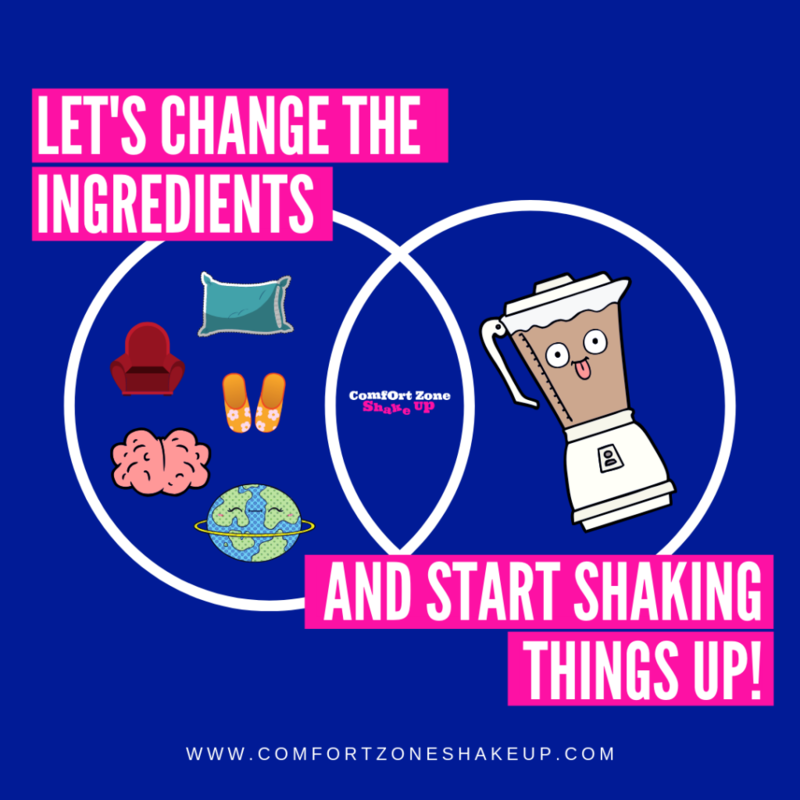 Comfort Zone Shake-Up is an innovation on the way we approach change. While people often talk about making or adapting to change by jumping out of their comfort zone, the aim of this project is to invite you to consider a different way. Instead of jumping out of our comfort zones, I believe that we can expand them. 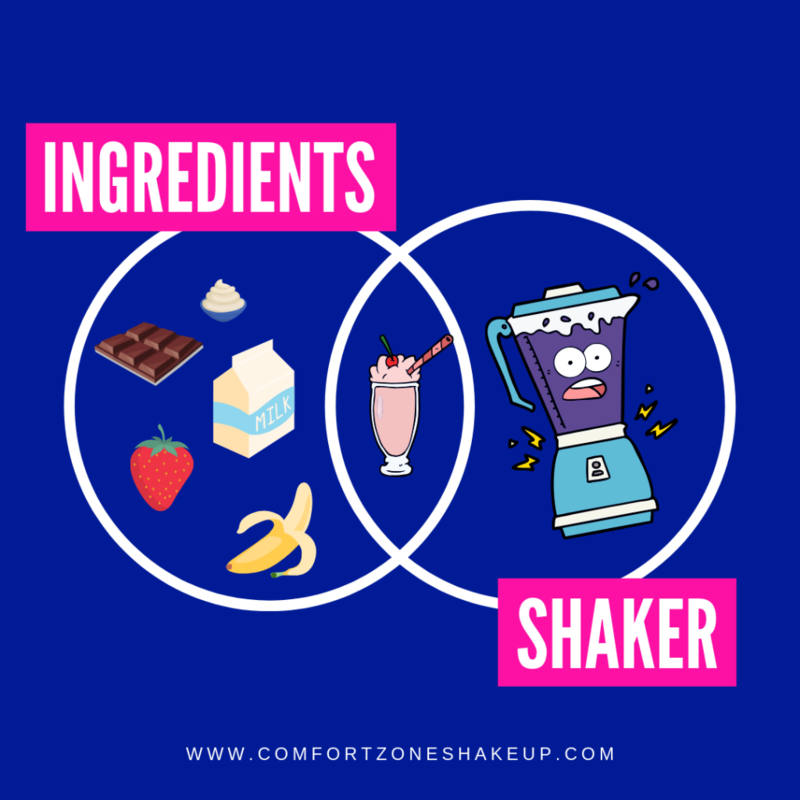 Using the metaphor of the milkshake from earlier, we can change the ingredients that we put into the shaker: our mindset, habits, approach to time management, attitude, and so on—and from there, we will shake things up! By taking a more mindful approach, Comfort Zone Shake-Up asks the question: Can we train ourselves for change? If that question intrigues you, stay tuned to find out how.